In Part 1: Tools and Materials, we gathered up everything we need to get started, so lets go! Cut your wood into 12 inch lengths. You can choose to cut around knots or include them, you can cut through knots but they can chip out (bad). Some people like the look of knots, some don't. 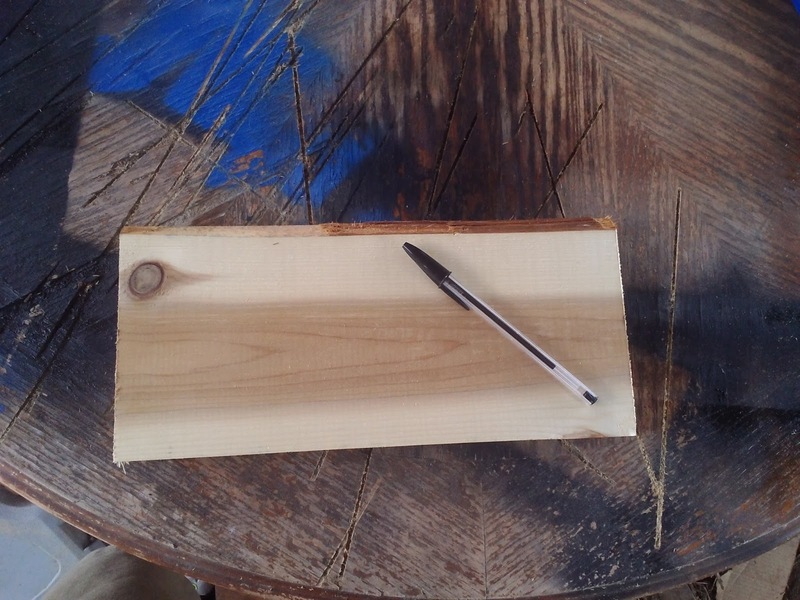 Sand your board, blow off or wipe off the sawdust. Now measure the height of the board and make a note of it. Most lumber you get will not be exactly 6 inches by exactly 8 feet, or exactly 1 inch thick. If you want a decorative edge such as made by a round over bit, subtract a half inch from the height and width as well. Most of the boards I use, which are listed as six inches, I end up at 5 inch height with round over, with a little wiggle room. I'll carve this piece of cedar. Let me preface this by saying that I use a computer oriented layout method. I find this is the most cost effective in the long run, and allows me to have nearly infinite variety in my designs, and more options to size and squish things onto a piece of wood. 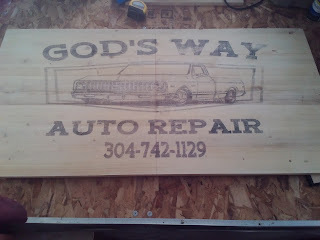 But you can skip the computer, and use wood letters and physically lay them out and spray paint a guide onto the sign. This limits your font and size selection. 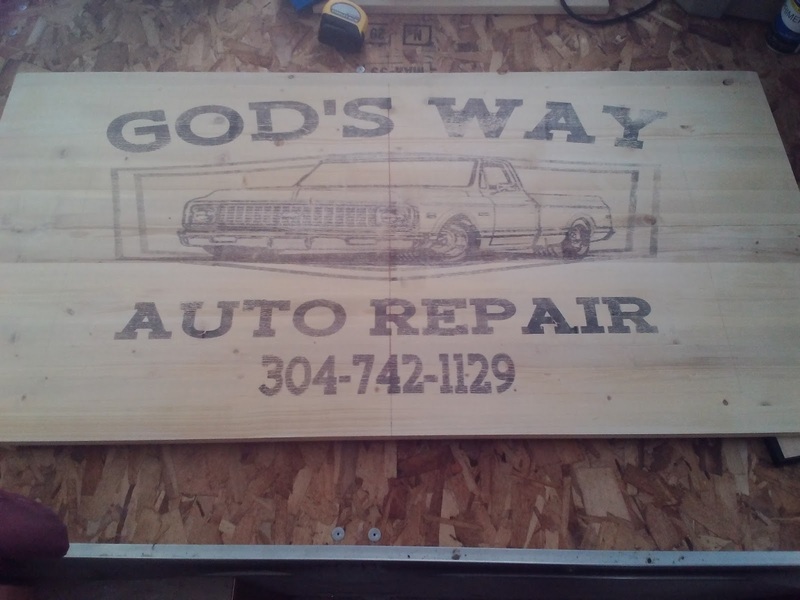 You can copy drawings onto your sign with carbon paper, or like the letters, get physical templates you can spray onto the sign as a guide for artwork. Aligning and centering will take more measuring and calculating though. If you are interested in more on this method, let me know in the comments. 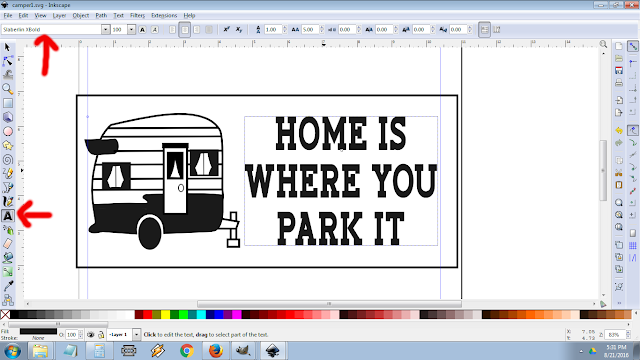 Posterazor: If you plan to make signs larger than 8x11 inches in any direction. If you are an artist, thats awesome! If not, and you want to do more than just carve text, dont worry, you don't have to draw a thing. Just download the artwork. Mua..haa.haa.ha.. ha...ahem. The best things to carve are silhouettes, or two tone images, as typically the wood is one color, either foreground or background, and the black paint is the other. I'm not gonna lecture you on copyright issues, but if its something you are worried about you can find free images at http://www.freepik.com (i downloaded 700 images from there..) or all-silhouettes.com. Vector images are best, as they scale. 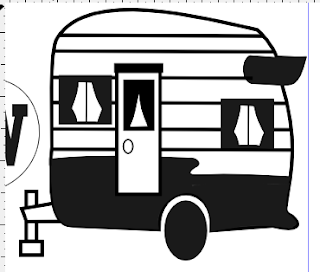 Inkscape takes .svg and some .ai vector files, as well as non vector like .jpg and .png. Other sources of free legal images are public domain works (over 75 years old), wiki commons has some of these. You can also find old coloring book pages free online, thick line art is easy to carve! Just search a bit. You can also ask artists for use of artwork, you may be surprised. I asked an embroidery company if i could use their patterns for a licensing fee, and they said i could just go ahead and use them since it wasn't for embroidery. 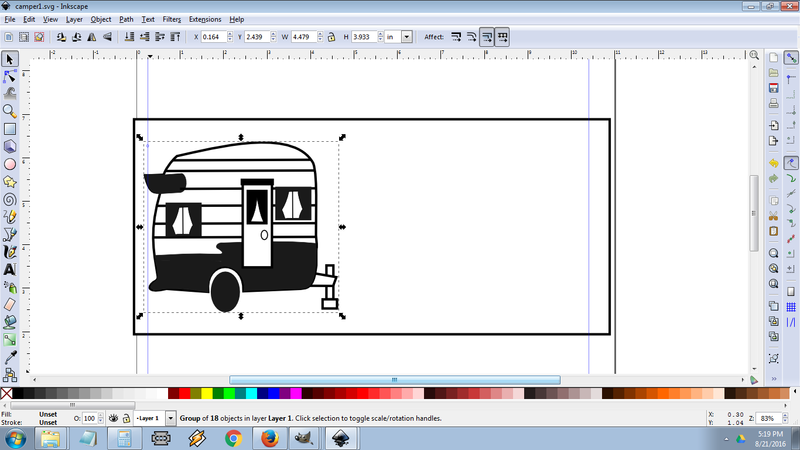 Open Inkscape, then hit Ctrl + Shift + D to bring open the properties, and click landscape orientation. 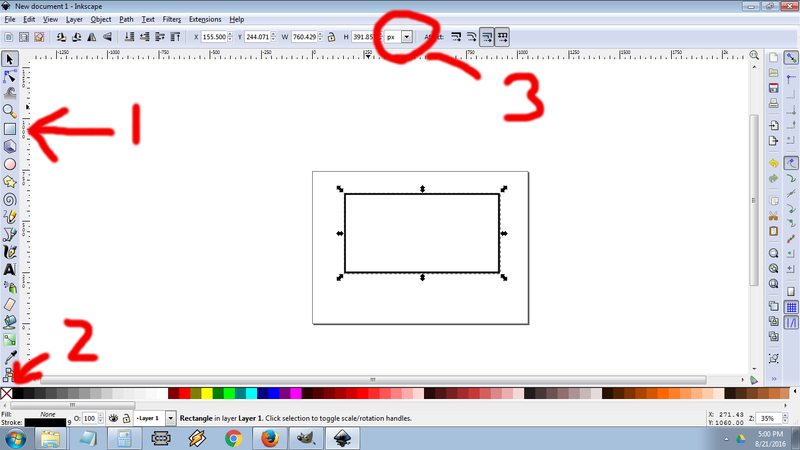 Click the Rectangle Tool (1) next and draw a square of any size. Make the square have no fill color by clicking the X fill color (2) near the bottom if it isnt already. 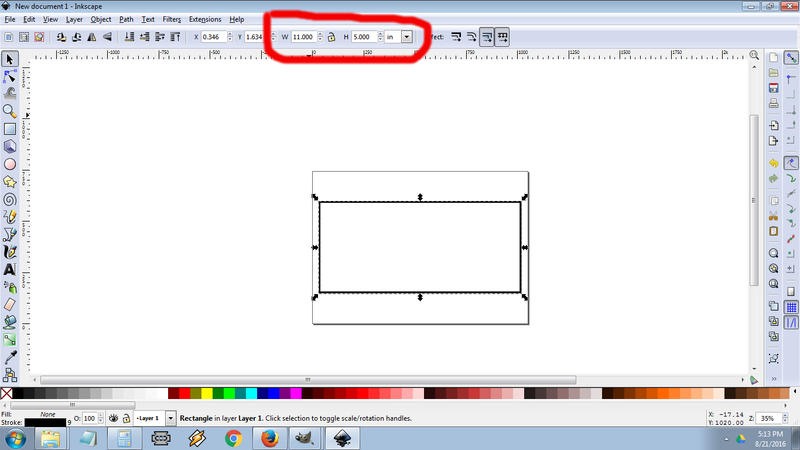 Select the pointer tool to get off the rectangle tool and select your square, then change the units of measurement from px (pixels) to in (inches). 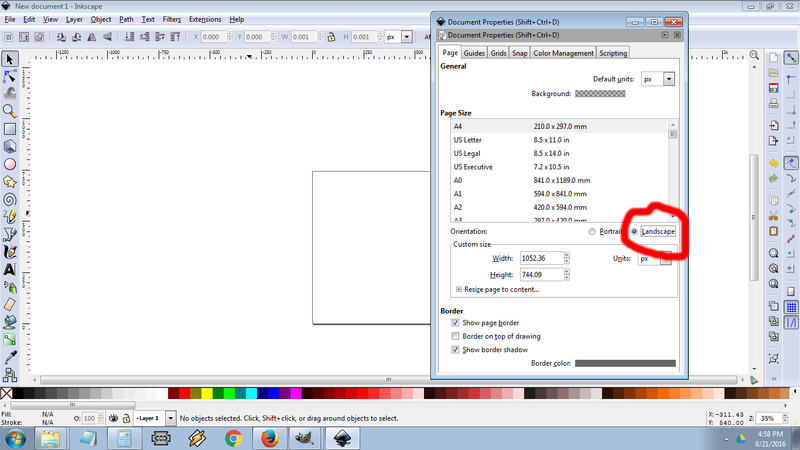 Next in the Width and height, enter the dimensions in inches for your sign that you took earlier. Remember to take off half an inch if you plan to add a decorative edge. I'm entering 11" x 5", yours should be similar. Press 4 to zoom into your sign. Press Ctrl + I to import your artwork, then place it to one side of your sign. Adjust the size of it by dragging the handles around it, or enter values like you did for the square. Dont go right up to the line on your drawing, allow some buffer for printing margins (the blue guide lines below are where mine are, all printers differ). 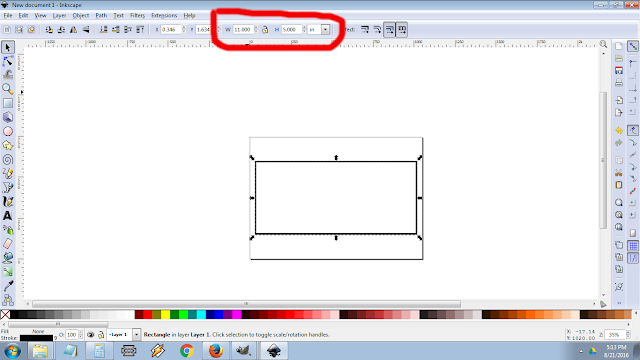 Now select the Text tool. Click in the space beside the artwork, and type in what you want to say. The easiest fonts to carve are thick lined fonts, that don't crowd the letters too close together. I am using a free font called Slaberlin XBold here. The hardest fonts to carve (but I've done it) are very small, cursive scripts. The bigger you can make the text in the space you have the better. Remember, the smaller it is the harder to carve. This might seem counter intuitive but its the truth, trust me. 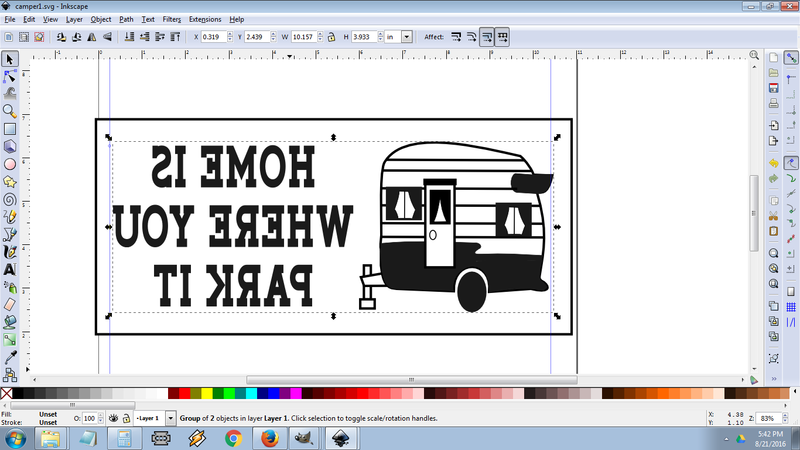 If you are happy with how your sign looks, save it, but dont print it yet! First hold shift then click your artwork to select it, then also click your text to select it too. They should both be selected. Hit Ctrl + G to group them into one selection. Hit the H key to flip em! Since we will be flipping the print over, we have to reverse everything. You might have to adjust a bit here for printer margins, trial and error. Stick your freezer paper or transparency in and print. If you went with the freezer paper make sure wax side is up. The transparency side doesnt matter. It will print your image, and the ink will be on top of the paper, be sure not to smudge or touch it, it is wet ink! Line up the drawing in the center of your board, this will be easier with the transparency. If you are a little off it isnt the end of the world though. Press it down, then dont move it or slide it or it will smudge. Hold it still with one hand, and then methodically rub the transfer onto the board with your fingers of the other hand (or use a spoon). When you pull the paper off it will leave a fainter version of your design on the board, ready to be carved. Sometimes bits will not have transferred well or at all, you can often go in there with a pencil and sketch in the gaps, or just wing it when it comes time to carve, this is just a guide. In Part 3: Carving, Painting and Finishing we will take this sign and begin using the router to carve out the design we made.